The graduation ceremony of the University of Liechtenstein took place on Friday, 22 April 2016. 88 graduates of the university received their Bachelor’s and Master’s degree diplomas. In addition, prizes were awarded to six graduates for exceptional performance. Facebook photo album "Graduation Ceremony April 2016"
‘Creating values and maintaining composure are the real challenges with which our graduates will be faced. 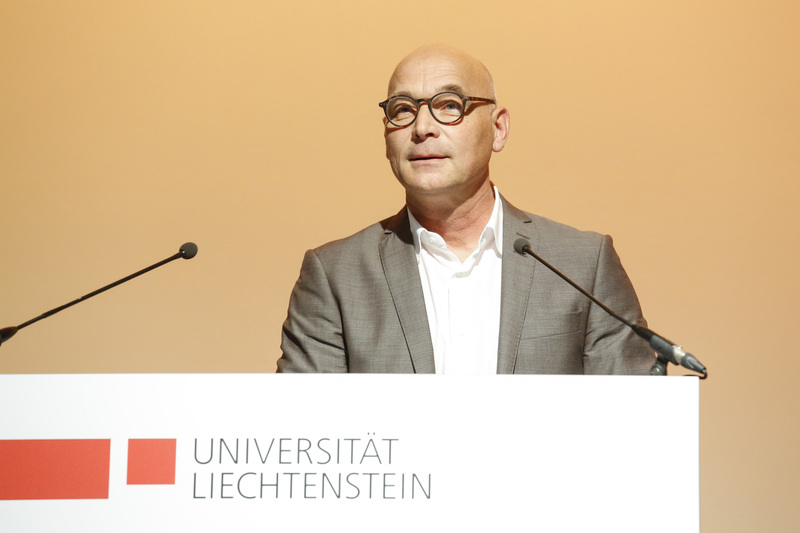 Then they will be in a position to make their personal contribution to their own future and the future of our society,’ stressed Hugo Dworzak, Head of the University of Liechtenstein’s Institute of Architecture and Planning, in his address. 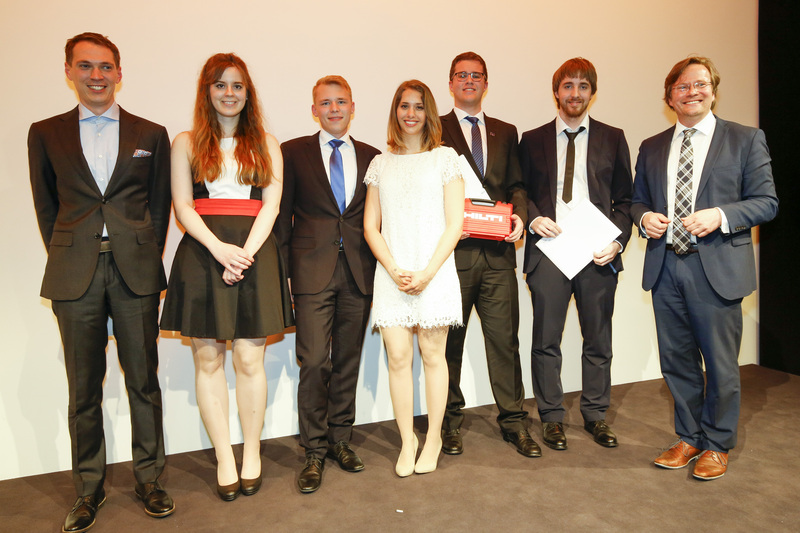 Six graduates were chosen by Liechtenstein companies and associations to receive prizes for their exceptional achievements. 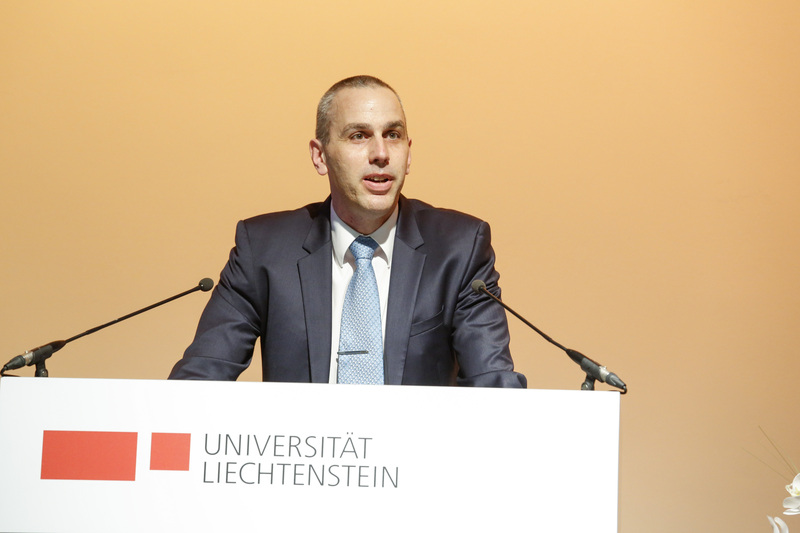 The Liechtenstein Association of Engineers and Architects (LIA) awarded prizes to the best graduates on the Bachelor’s and Master’s degree courses in the Faculty of Architecture. On the BA course, the prize went to Milena Fischer from Chur, Switzerland, who achieved a thesis mark of 6.0 and an average mark of 5.6. On the MA course, the prizes were won by Pascal Meer from Amriswil, Switzerland, with a thesis mark of 5.5 and an average mark of 5.4, and by Vladimir Sergeev from Russia, with a thesis mark of 6.0 and an average mark of 5.4. As in past years, the Hilti company’s Foundation for Fostering a New Generation of Technicians (Förderung des technischen Nachwuchses) awarded prizes for the most innovative diploma theses on the Bachelor’s and Master’s degree courses in Economics. The award on the BA course in Business Management went to Andreas Alexander Peter from Bad Saulgau, Germany, with a thesis mark of 6.0 and an average mark of 4.9. The prize on the MA course in Banking and Finance was given to Effrosyni Panagakou from Athens, Greece, with a thesis mark of 6.0 and an overall average of 5.2. The Liechtenstein Bankers Association (LBV) gave prizes for the best average marks in all modules on the BA course in Business Management specialising in Financial Services and the MA course in Banking and Financial Management. The prize on the BA course in Business Management went to Daniel Weiskopf from Lustenau, Austria, with a mark of 5.2. On the MA course in Banking and Financial Management the prize was won by Florian Andreas Sterr from Maisach, Germany, with a mark of 5.4.